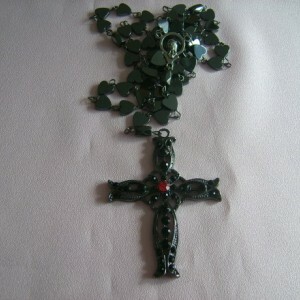 Heart of Prayer Rosary, is our love for Mary and Christ and their love for us. 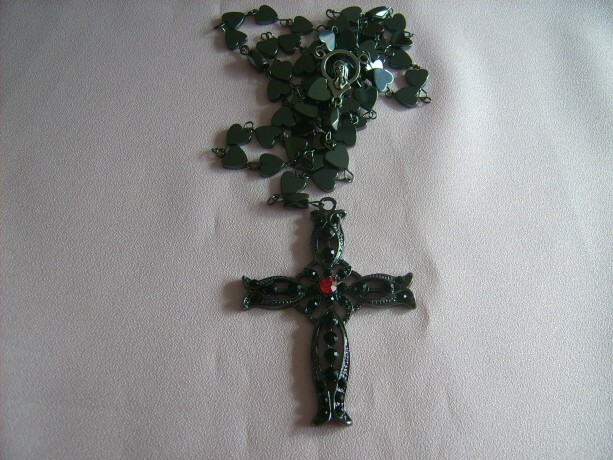 This rosary has hearts to remind us of their love as we pray. 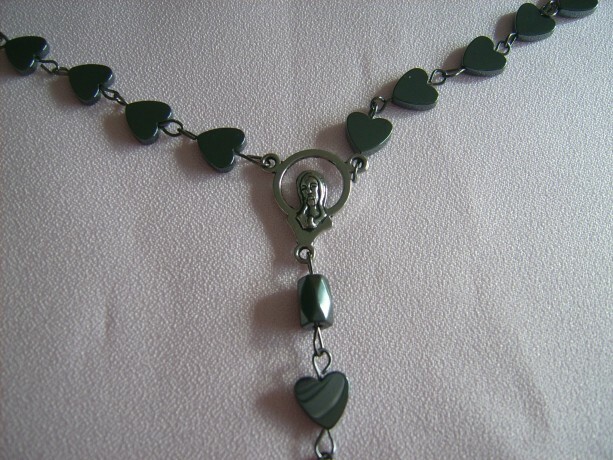 Made of hematite hearts with faceted hematite cylinders. 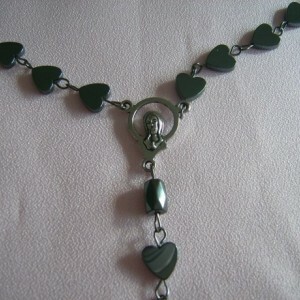 They are attached by gunmetal eyepin links. 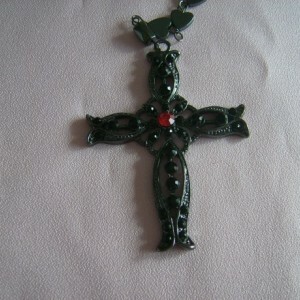 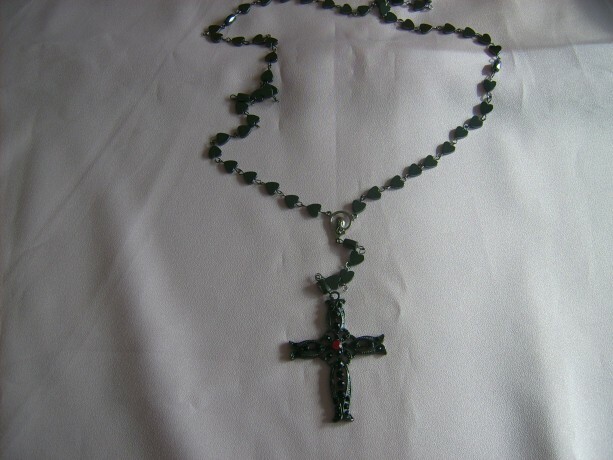 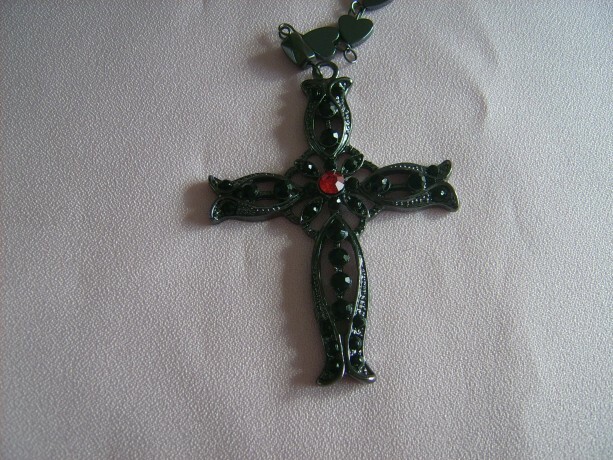 A Mary medallion encases the rosary with a gunmetal cross with black acrylic beads with a center one in red as a representation of the heart of Christ. 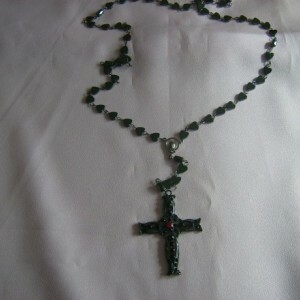 It measures 22 inches long.